Nancy Pelosi wrote House Speaker John Boehner on May 23 saying she'd be willing to extend the Bush tax cuts for everyone with incomes below $1 million. That contradicts President Obama's position, which is to extend the Bush tax cuts for everyone with incomes below $250,000. Pelosi is taking a lot of heat for letting families with incomes between $250,000 and $1 million off the hook, and from a policy point of view that's hard to argue with. 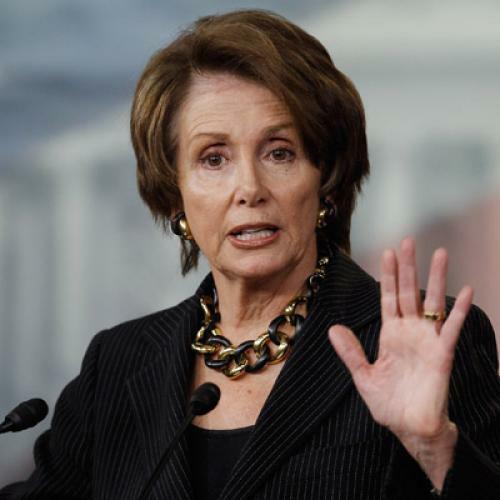 Citizens For Tax Justice calculates that Pelosi's proposal would save 40 percent less than Obama's. Families pulling down $250,000 are situated above the 95 income-distribution percentile, and if you think that's middle class then you should ask your kid's teacher to grade that 95 percent math-test score you're so proud of as a C-plus or B-minus. But from experience I've learned that when Pelosi does something that looks stupid to me it's usually because she's figured something out that I haven't. In this instance, I suspect that Pelosi has no intention to keep the Bush tax cut for incomes up to $1 million. If she thought there were a ghost of a chance that Boehner would take her up on her offer she wouldn't extend it. But she knows Boehner won't accept it, and that in not accepting it he'll allow the Democrats to campaign against a Republican party so beholden to millionaires that it won't extend the Bush tax cuts for everyone else. If Obama loses the November election, then it's hard to say what sort of deal will be cut on taxes. But if Obama wins, as I think likely, then Pelosi will be able to tell Republicans: "You missed your chance at a $1 million threshold. That was the pre-election rate. The post-election rate is $250,000." If the Republicans won't take $250,000, then Pelosi (and Obama) can say, "Fine. Let's allow all the Bush tax cuts to expire." I'm not convinced letting that happen would destroy the economic recovery, as seems to be the consensus. Or rather: If by November the economy is strong enough to allow Obama to get re-elected, then I think it will be strong enough to sustain the much-feared "taxmageddon." The "fiscal cliff" described by the Congressional Budget Office, among others, includes automatic changes in the Alternative Minimum Tax that I don't believe Congress would allow to take place. I also have my doubts that the GOP would permit the automatic spending cuts due to go into effect, because these involve deep cuts in Pentagon spending. Even a scheduled increase in the regressive payroll tax might prove avoidable. Republicans would have you believe they don't want the Clinton-era tax brackets to return. What's likelier, I think, is that they don't want to take the blame for having the Clinton-era tax brackets return. If taxes go up and Republicans can blame the Democrats they'll be happy, no? The politics works for them, plus they'll have a much easier time figuring out how to get future deficits under control. A less encouraging scenario is that once the Democrats are on record accepting a $1 million threshold rather than a $250,000 threshold, they'll feel pressured into sticking with the $1 million threshold no matter who wins the presidential election. Not to do so would be to negotiate in bad faith. I'd like to remind the Democrats that Republicans never trouble themselves about bad faith; they're about getting as much as they can at any given moment, and if circumstances allow them to get more they take it.